Monsoon is the most beautiful season in India. It is the season that brings happiness to our life as it makes nature cool after the hot and burning weather during summer. 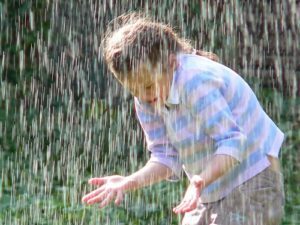 Rainy season allows you to experience beautiful moments like playing in the rain, the smell of the wet soil, watery sky and dancing in the rain. But, even having the cool splash of the rainy day, this season also invites many health problems. Therefore while enjoying the beautiful rainy season, it is important that you must take extra care of your health. The kids and elderly people are more susceptible to the harmful effects of the monsoon season. The chances of having water-borne diseases like diarrhoea, typhoid, viral fever, gastrointestinal infections, and dysentery are very high during the rainy season. As the rain moderates the climate, which helps in increasing the growth of harmful germs and bacteria. 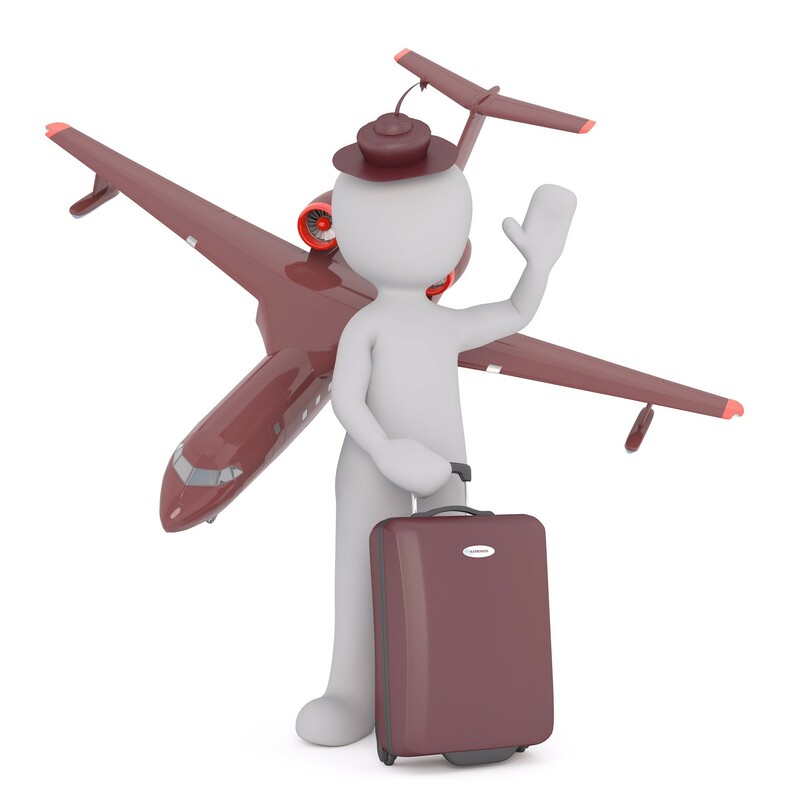 Thereby increasing the chances for disease and infections. Respiratory infections, cold, and flu are the most common problems during monsoon that needs to take care of. The people with low immunity need to take extra care during this season. People who are suffering from any disease should be more cautious. They can be infected by the bacteria which can cause extra diseases to them. 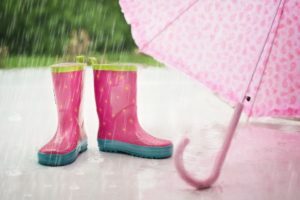 Avoid getting wet in the rain: Mostly people get wet in the rain intentionally or unintentionally. As much as it is enticing, walking in the rain makes you inclined to viral ailments as well. Rainwater is not good for health as it can cause cold and viral infection. Avoid eating food street vendor: During monsoon, streets and road are full of water that increase the chances of germs to enter the food prepared by road vendors. The street vendors hardly take care of that food. Therefore you should avoid eating food from street vendors. Avoid dirty and Wet Clothes: Wet and dirty garment helps in increasing the growth of germs. By wearing dirty and wet clothes you can get skin infection caused by bacteria and fungi. Don’t touch your face with dirty hands: Do not touch your face with dirty hands because there are chances for flu, virus and germs to enter your body through nose, eyes, and mouth. Stay Away from Mosquitoes: Mosquitoes, flies, and insect are also welcomed with the monsoon that can badly affect your body. Staying away from mosquitoes can protect you from malaria. Stay away from stagnant water where mosquitoes breed and other types microbial diseases can happen. Besides, make sure that you do not enter an air conditioned room with wet hair and damp clothes as this can cause viral fever cold or a cough. 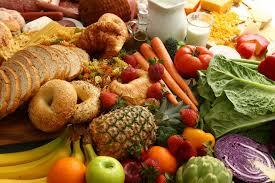 Eat Healthy and Balanced Diet: It is an ideal approach to keep the nutrient in the body. By having a healthy diet your body will be nourished with proteins, vitamins that make the body strong to fight against infections. During rainy season you should eat green vegetables, fruits, and cereals. When you get wet take shower immediately: Rainwater is not good for your body as it contains acid which can cause infections. Taking shower immediately after getting in the rain will protect your body from the harmful infections. Dry clothes and footwear: During this season usually clothes do not get dry easily because the sky is covered with clouds and the sun shines very rarely. Even if the garments are slightly wet it can lead to microbial growth. Avoid wearing closed shoes as they hold water and makes your foot sodden. 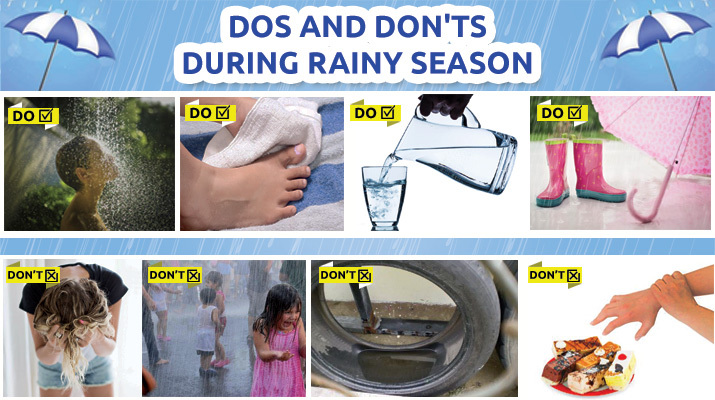 Wear waterproof shoes or open footwear. Keep your home clean and pest free: Keeping your house clean is very important during rainy days. Always ensure that there is no water logging in your home because it can be a breeding place for mosquitoes and other harmful microbial infections. Use mosquito repellent to stay away from mosquitoes. Wash your hands regularly: Always make a habit of washing your hands frequently before and after eating food. Especially during monsoon wash your hand whenever you come from outside. 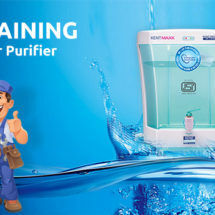 Drink only purified water: Monsoon is the time when you are more vulnerable to waterborne disease the risk of drinking contaminated water during the rainy season is very high. 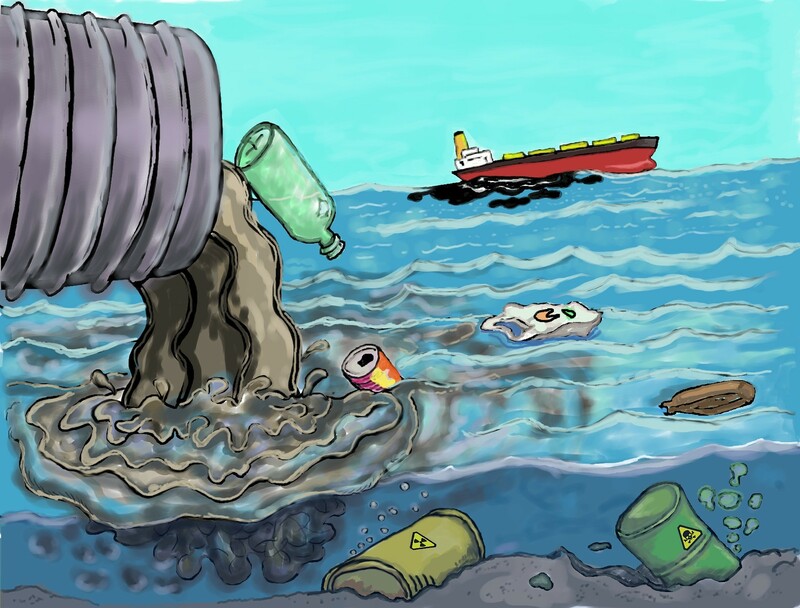 Many harmful microorganisms can enter your drinking water easily. 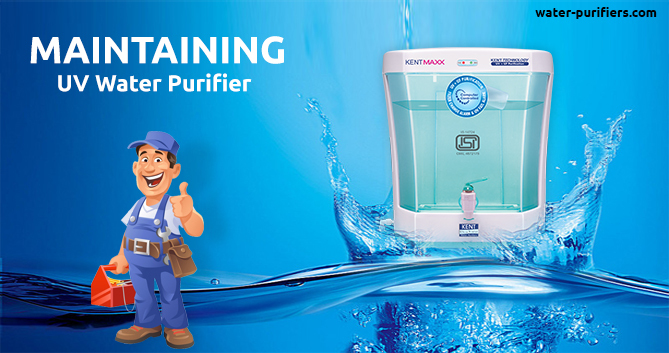 Therefore you must have a water purifier in your home. Monsoon is a very beautiful season you get a cool and refreshing weather. Everyone welcome this season with full joy and smile on their face but this happiness can be lost if we don’t take care of our health. 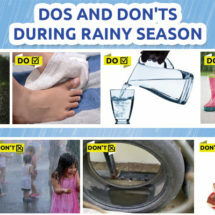 Follow the above-mentioned simple tips for rainy season and you would remain happy without even getting infected by the water-borne illness during monsoon.